Caution: Hogweed is a member of the carrot family which contains several highly poisonous species. Direct contact with the raw plant can cause phototoxic effects, so always wear gloves and long sleeves when handling. Hogweed is very widespread, growing in meadows, hedgerows and along the edges of fields. 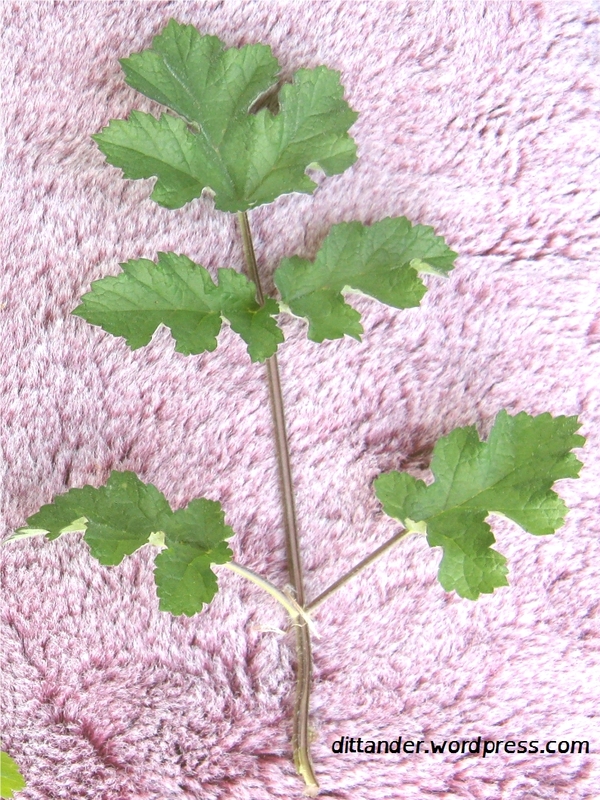 It has large pinnate leaves covered in hairs, with terminal leaflets that look similar to maple leaves. The flowering stems can grow up to 2 metres tall and the dried, dead remains often persist throughout winter. The seeds can be collected from the heads which make an interesting spice, although extreme care must be taken not to confuse it with other umbellifers. Melt the butter over a medium heat, stir in the flour to make a smooth paste. Gradually add the milk stirring continuously. Add the cheese once the sauce is the right consistency. Remember to wear gloves when handling them. Cut off the leaves from the buds and set aside. 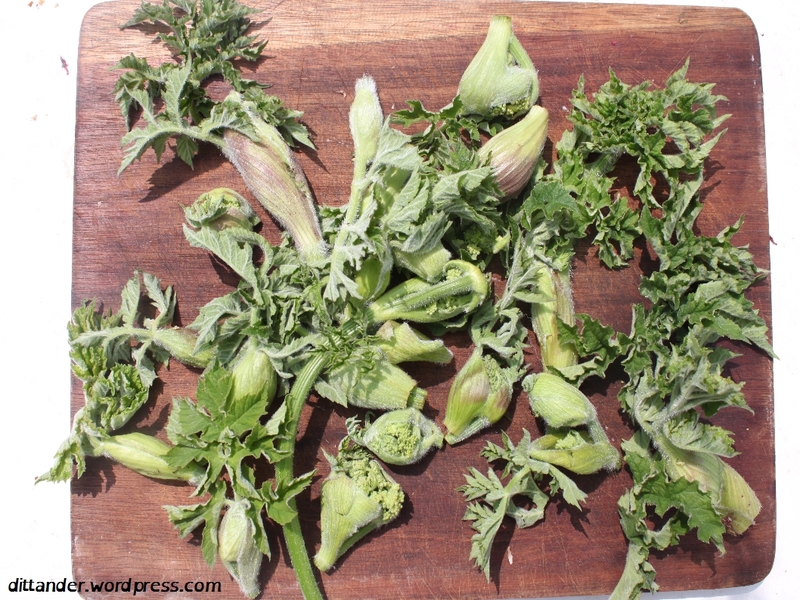 Steam the buds for 3-5 mins depending on size and desired texture. Finely chop the leaf and fry in lots of butter or oil until crispy. Serve the buds with the sauce poured over, topped with the crispy leaf. The fried leaf is similar to the crispy ‘seaweed’ that is served in Chinese restaurants, so it is also nice served on its own with soy sauce and sesame seeds. Does cooking stop the phytotoxic effects or is it only phytotoxic when in contact with the skin? I assume that giant hogweed is to be avoided completely? From personal experience it is only phytotoxic when uncooked and in contact with the skin, and only then if the skin is exposed to strong sunlight. To be on the safe side I would advise you not to eat large quantities of hogweed and then spend the day sunbathing. Yes, giant hogweed should be avoided completely. Thanks for the extra info. I’ll need to swat up on the differences between hogweed and giant hogweed before I try any! Hi there, I like your blog, always nice to see what other foagers are doing. We have been using hog weed seeds when baking biscuits, they are delicious. Have you tried them? Hello Ciaran, yes I like them – I haven’t tried them in biscuits but I do sometimes use hogweed seeds as a spice for curries, toasted and ground like cumin.